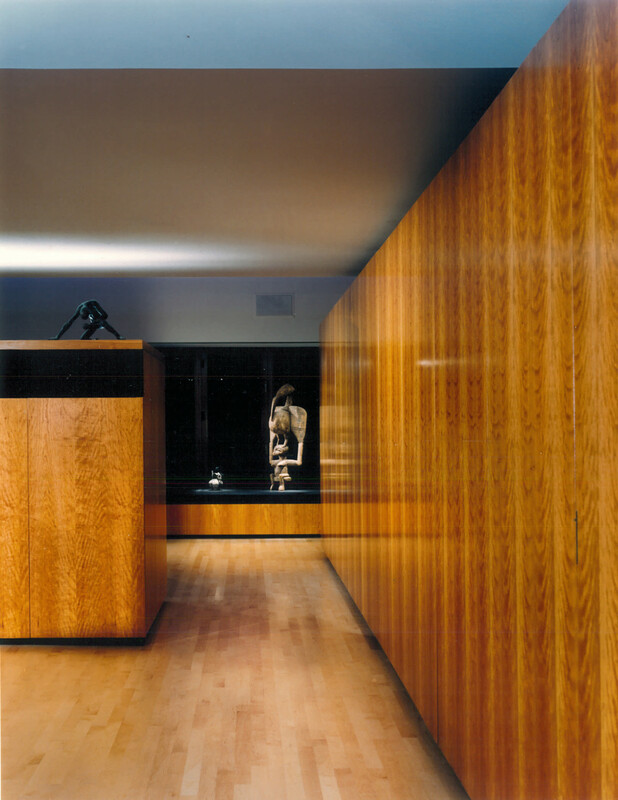 A 47th floor apartment in the Hancock building is transformed into a single volume with casework elements that define space and emphasize views for a Chicago wine merchant. The floating core separates gathering and office areas while housing media, shelving and work surfaces. 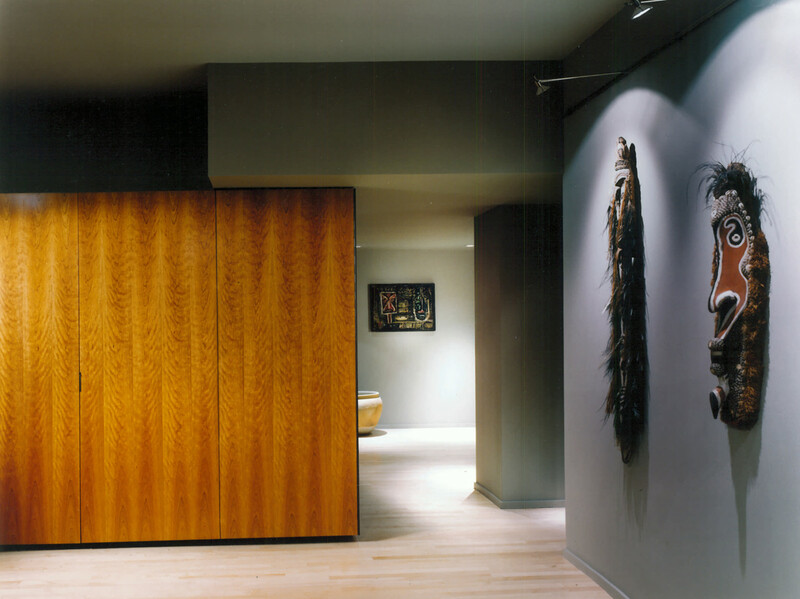 Kitchen, bath and storage functions are concealed behind a wall of wood panel doors. 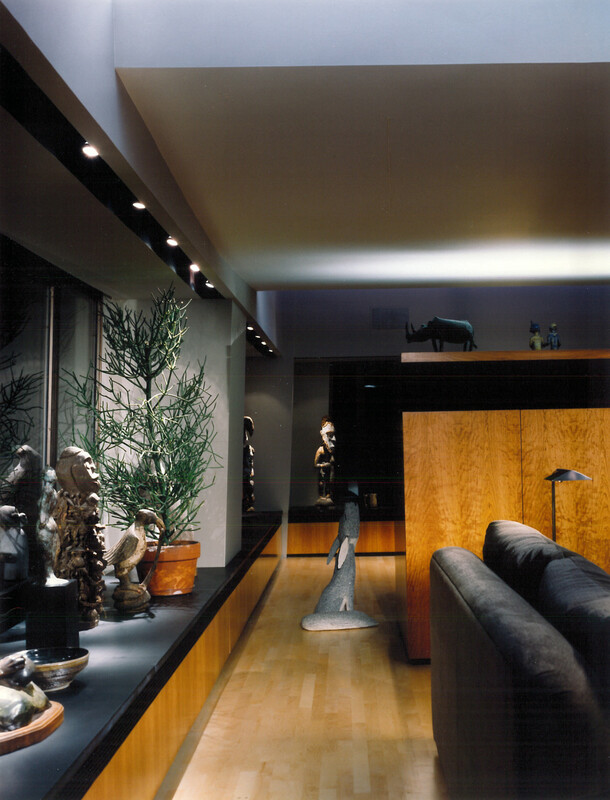 Perimeter lighting illuminates artwork while drawing attention to extraordinary panoramic views. General Contractor: The Dettmers Co.